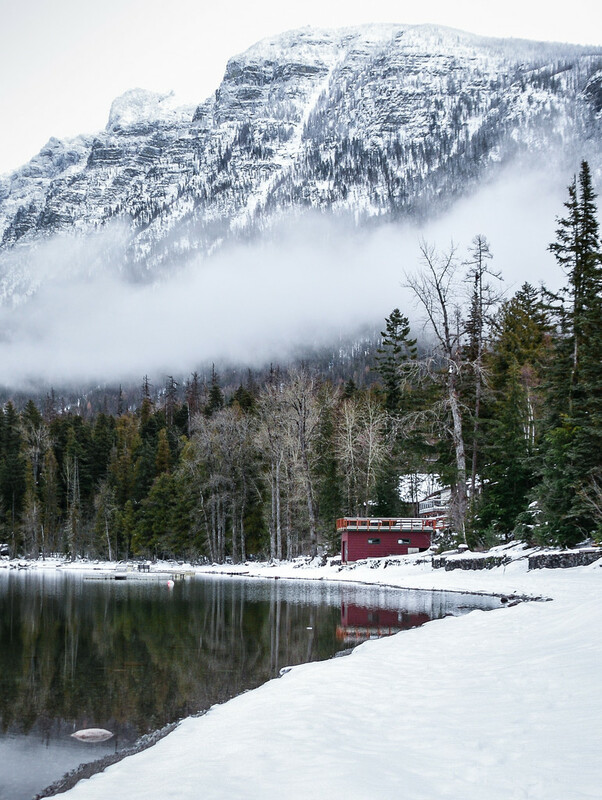 There are some cabins on McDonald Lake in Glacier Park. They have been there for many years and can be handed down in the family but never sold. Lucky folks! Just wonderful. I think most national parks have some homesteaders cabins that families have cherished for what at least a hundred years. Can you imagine living in such beauty? Spectacular photo, and if I had a place like that I wouldn't sell either! Wonderful landscape and the cabin provides a terrific focal point and object for sense of scale. What a beautiful scene..............love to see the open water and snow! This is great, so many layers to it! Beautiful winter scene. Love how the mist has rolled in above the tree line. Perfectly composed - the tiny pop of red, the mist cutting the mountains, the absolutely still water and its reflections - just beautiful. big congrats on making the TT! Congratulations on this making the TT! @koalagardens @louannwarren @gardenfolk Thank you for your very nice comments! Good composition with the edge of the lake acting as a good diagonal taking the eye up to the cabin and then further on.